Recently there have been various references to the ideas of the Italian anarchist Errico Malatesta either in books and pamphlets or in blogs. For example the blog of Scott Nappalos has the following: ‘Anarchism and the unions: a critique of Malatesta's ahistorical perspective’. “There are three main errors in Malatesta's argument that will lead us to different conclusions. Malatesta botches the role of history in union's structure, the function of struggle in transforming the consciousness of its participants, and the variations in the forms of workers organizations. 1. Ideology is less a product of will than of history. In his reply to de Santillan, Malatesta claims he recognizes this point. It may be that he did, but he fails to see the problem for his argument. The basic idea is that unions can be revolutionary to the extent that the class or sections of the class are revolutionary. This is a historical matter. History and society develops unevenly, there will always be sections of the working class moving into and away from various revolutionary praxis embedded in their organizations. Likewise the success and failure of these movements depend on their context, i.e. The ruling class, the other workers organizations, the region's position in global capital, etc. When we move away from the abstract and timeless perspective Malatesta uses, one leg of his argument crumbles (that it is not possible to have mass unions that have revolutionary ideas and practice). 2. Malatesta misses the role of struggle radicalizing workers consciousness. This makes growth without watering down principles possible, since workers in participating can be radicalized (not saying it will, just that it is possible, which destroys the fork in his argument). This is a similar issue as above with Malatesta's lack of understanding of struggle across time. Workers' ideas are not static, but rather shift in a dynamic between the notions they have, their activity, and the ideas they encounter. Throughout history workers have built libertarian organizations not necessarily from anarchist agitation within movements so much as being radicalized by the dynamics of struggle itself (though of course there are other examples too). This means that it is also possible for workers in libertarian unions to develop revolutionary consciousness without being required to be anarchists before joining. Since libertarian unions' structure/principles are voluntarily built, there is always a struggle around the orientation of the union. That doesn't mean however (as Malatesta argues) that unions by their nature will cease being revolutionary when struggle progresses. Otherwise we would not have seen libertarian institutions grow at all, they would have turned reformist while growing and never had the chance to be repressed. This isn't negated by the fact that the CNT or whoever did in fact turn towards reformist activities, since in fact that was true by default. All revolutionary movements either produced reformism or were destroyed. There are other factors that explain cooptation (and this was not in fact Malatesta's argument, he argues unions will become reformist before reaching revolutionary conclusions). It is also worth pointing out that alternative libertarian institutions such as anarchosyndicalist unions, workers councils, militias, peasants' councils, etc., formed perhaps the only significant anarchist movements. Given this history, the burden of proof falls on those who claim Malatesta's strategy, which as of yet has no significant historical precedent. 3. Not all unions were created equal. Since Malatesta died before seeing the integration of unions into the social partnership of the state and capital, it is not useful to view Malatesta's unions as identical to ours. For that reason, it is likewise naïve to think that one can merely exist within organizations that are setup for and schooled in repressing radical organizing and carry out propaganda effectively. Over 80 years of communist infiltration into the unions failed to produce any significant shifts in the unions nor revolutionary movements. Again the burden of proof lies with anarchists who think otherwise, and who have next to nothing to show for anarchist attempts at such. Malatesta's arguments rely on the idea that all unions are the same, some just want ideology. But in fact the structure, methods, and aims of unions vary considerably. The fundamental division in our time is between unions (or workers' organizations) that seek to mediate between capital and workers, and those that are spaces for autonomous organizing that don't exist beyond the activities of workers. The former is the traditional American union, which exists mostly as a bureaucratic layer of paid staff with specialized skills who negotiate a contract for the workers. The contracts exchange workers control for largely economic gains. Workers interact with the unions, and struggle for changes through (and sometimes against it), but the union remains a third party with separate interests of its own. The 20th century is filled with examples of the unions are highly efficient repressive organizations for class cooption and collaboration. Now in fact Malatesta believed the opposite of much of the above. In fact it was he who provided an inspiration for many of the leading lights of the foundation of the French syndicalist union the Confederation General de Travail (CGT) and the parallel Bourses de Travail (labour exchanges controlled by workers), like Emile Pouger and Fernand Pelloutier. Between 1885 and 1889 he was living in Buenos Aires in Argentina. Here he took part in helping organise the bakers’ union which was founded by Ettore Mattei and Francesso Momo. He drew up the charter and programme of the union and supported its successful strikes. “His and Mattei’s roles in the union were fundamental; they fought so that the union would be an authentic society of resistance, an organization that moreover could be labelled as “cosmopolitan”, instead of yet another mere mutualist society” (The influence of Italian immigration on the Argentine anarchist movement, Osvaldo Bayer). Turcato notes that: “ The positive implications of the Great Dock Strike and the tactics of new unionism can hardly be over-estimated. He (Malatesta) came to regard strikes as the most promising path to revolution, in contrast to any other means that anarchists had practised until then”. As Malatesta himself wrote in his article after considering both movements originally initiated by the bourgeoisie and wars as catalysts for social unrest, where reliance on them led to fatalism: “Fortunately there are other ways by which a revolution can come, and it seems to us that the most important among them are workers’ agitations that manifest themselves in the form of strikes…The most fruitful lesson of all was the huge dock labourer strike which recently occurred in London”. 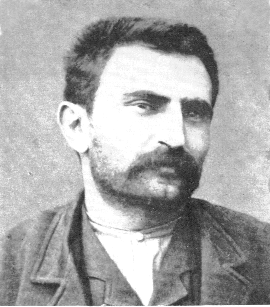 Malatesta further expanded these ideas in his paper, calling for the intervention of anarchists in struggles for immediate economic gains.. Further, he stated that the Revolution was a longer process than anarchists had believed. What was needed was a daily and long term involvement in unions, cooperatives and educational societies. For Malatesta economic struggle implied a political one. He used the First of May mobilisations to illustrate a point. The most important thing was for workers to collectively assert themselves, not the limited reforms they demanded. Furthermore, it was a mistake to dismiss agitation around the eight hour day, as Malatesta admitted a poor reform, because struggle would produce class consciousness. Commenting on the joint congress of the CGT and Bourses de Travail in Toulouse in 1897 he wrote: “The conscious part of the French proletariat, even when they do not comprehend or accept our general principles, can devise the way that must lead to the end of human exploitation”. Malatesta repeatedly emphasised that these forms of struggle were means towards social revolution. This flies in the face of the statement of Nappalos that Malatesta misses the role of struggle radicalizing workers consciousness, as even a cursory look at Malatesta’s ideas proves the falsity of this statement. Further, we have to address the assertions made in the Solidarity Federation booklet Fighting For Ourselves that: “early anarchist-communists did not focus primarily on the labour movement”. Apart from the fact that anarchist-communists of the period also engaged, quite correctly, in agitation among what was then a sizeable class, the peasantry, careful observation reveals this not to be true. The booklet includes Malatesta among these early anarchist communists. As we have seen, Malatesta was an early advocate of involvement in the labour movement. Turcato underlines this: “ Organization was a worker’s means to gradually and collectively approach anarchism through class consciousness”. He then quotes Malatesta “ To become an anarchist for good, and not only nominally, he must start to feel the solidarity that links him to his comrades; learn to cooperate with the others for the defence of the common interests; and, struggling against the masters and the government that supports the masters, understand that masters and governments are useless parasites and that workers could manage by themselves the social enterprise. When he has understood all this, he is an anarchist, even if he does not carry the denomination”.Furthermore, Emile Pouget, who was an architect of French syndicalism, travelled to London and had meetings with Malatesta in 1893. The following year he was again in London, living at the house of the Italian anarchist Defendi family, where Malatesta also resided. Both of them contributed to the British anarchist communist paper The Torch . The August 1894 issue had articles from them both, but significantly Malatesta’s was The General Strike and The Revolution where he advocated the general strike as a revolutionary weapon. It is apparent that Pouget had become influenced by the Italian’s ideas on the subject. In 1895 he and Fernand Pelloutier, described by Max Nettlau as an “intransigent anarchist communist” went on an intense propaganda drive to introduce these new syndicalist methods to French workers. Indeed Pelloutier in his 1899 Lettre Aux Anarchistes ( Letter To the Anarchists) praised Malatesta “The words I am going to say have a perfect illustration in propagandists like Malatesta, who knows how well to unite an indomitable revolutionary passion with the methodical organisation of the proletariat”. It should be recognised that it was in this context that Malatesta, who, as we have seen was instrumental in advancing the idea of the general strike among anarchists, criticised it at the 1906 Amsterdam anarchist congress. He stated that the general strike on its own could not overthrow capitalism, but that what was needed was complementary insurrectionary action to destroy the State. In fact he had emphasised this in his first article on the subject back in 1889. He was aware that some syndicalists were substituting the General Strike for generalised revolutionary action and indeed this spurious notion reached its apogee with the General Strike being seen as a non-violent alternative to the failed uprisings during the German Revolution by the leadership of the Freie Arbeiter Union Deutschlands , which included Rudolf Rocker. On the subject of the unions which Nappalos addresses. Malatesta was aware of the differences between different types of unions. In his articles on the New Unionism of 1889 he heavily criticised the “old” unions. When he attempted to introduce these new tactics in Italy, he was accused by some anarchists of inglesismo (Englishism). He replied: “Forget about inglesismo. If this term means anything at all, it means economic resistance for its own sake, as it was practised by the ‘old’ trade unions, which-though they wanted to improve the workers’ conditions- accepted and respected the capitalist system and all bourgeois institutions”. Malatesta was an extraordinary pragmatic and flexible activist and thinker, adapting to situations as they unfolded. Thus, after the founding of the USI in 1912, Malatesta gave support saying that it corresponded best to anarchist ideas and tactics. He did emphasise that there were still many anarchists in the mainstream union central, the General Confederation of Labour (CGL) and that what was needed was unity of action between these comrades. The organisation created by Malatesta and other organisational anarchists in 1920, the Unione Anarchica Italiana (UAI) worked closely with the USI in the period of social unrest that gave birth to the Italian factory council movement. Malatesta did not have the hindsight that modern day anarchists may have about the role of the unions, as Nappalos seems to think he should have, but he was aware from the start of the general drift of trade unions towards pure economism, reformism and bureaucratisation. The great majority of anarchists, if I am not mistaken, hold the view that human perfectibility and anarchy would not be achieved even in a few thousand years, if first one did not create by the revolution, made by a conscious minority, the necessary environment for freedom and well being. Making Sense of Anarchism: Errico Malatesta’s Experiments With Revolution. Davide Turcato. Anarchism and Authority: A Philosophical Introduction to Classical Anarchism. Paul McLaughlin. I think anyone not overly familiar with Malatesta's life and ideas would be compelled to seek him out after reading this. Another wonderfully clear minded historical exploration beautifully expressed. I'm getting rather addicted to your writing comrade. His 'life and idea's' should not be confused with the book carrying the same title, edited by Vernon Richards, linked to at the bottom. I've tried to read that book but I think it gives a unwary and false view his ideas and writings. I don't think does justice to him. The texts he wrote are mostly short and clear so its worth the effort to read the originals (translated if you wish). All of his writings are now appearing in Italian -10 volumes the first two out already, in Italian, (Saw them in Madrid last Saturday) edited by Davide Turcato. It would be good if they were to be translated into at least English, French and Spanish and we will then see how under-estimated he has been.